MADRID – Transferred the PUMA store to the new concept. For this store we’ve produced different signings, including the red LED light line. 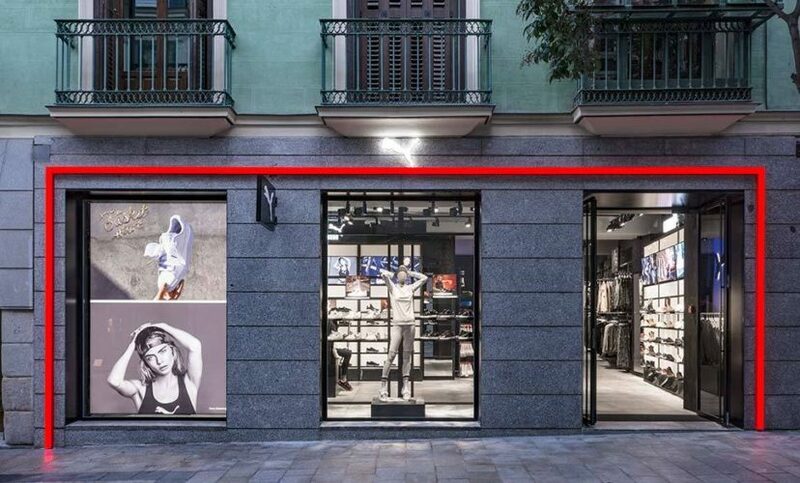 The red LED light line has been specially developed for the PUMA stores. The LED light line stretches along the entire facade of the building. This light line gives a super cool effect on the façade, making the store stand out in the street scene. We use sustainable LED lighting. LED lighting is sustainable because LED has 30,000 – 100,000 burning hours and LED hardly radiates any warmth. In addition, this type of lighting for the most part is recyclable. Besides the red LED light line we have produced multiple signing for the PUMA stores. We are specialised in signing for retail, from small to large retailers. We produce and mount among others illuminated logos, 3D letters, light advertising, lettering, stickers and façade advertising. We produce the signing custom-made, whereby the house style remains intact. Red light line on the facade provided with LED lighting. Double-sided nonilluminated signing on the outside. 3D milled letters with PUMA’s philosophy.